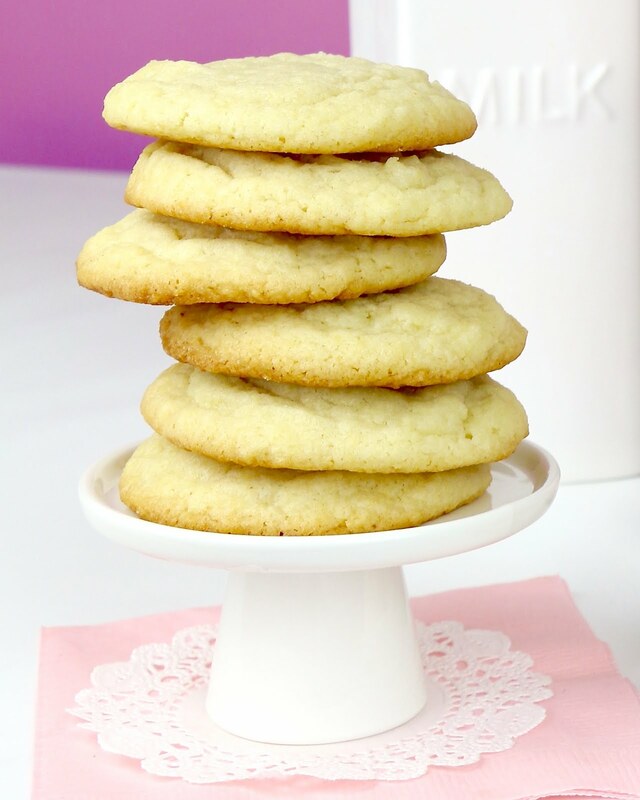 Soft bakery-style cookies, with a buttery vanilla flavor, crisp edges and a perfect chewy texture. Simply THE BEST. 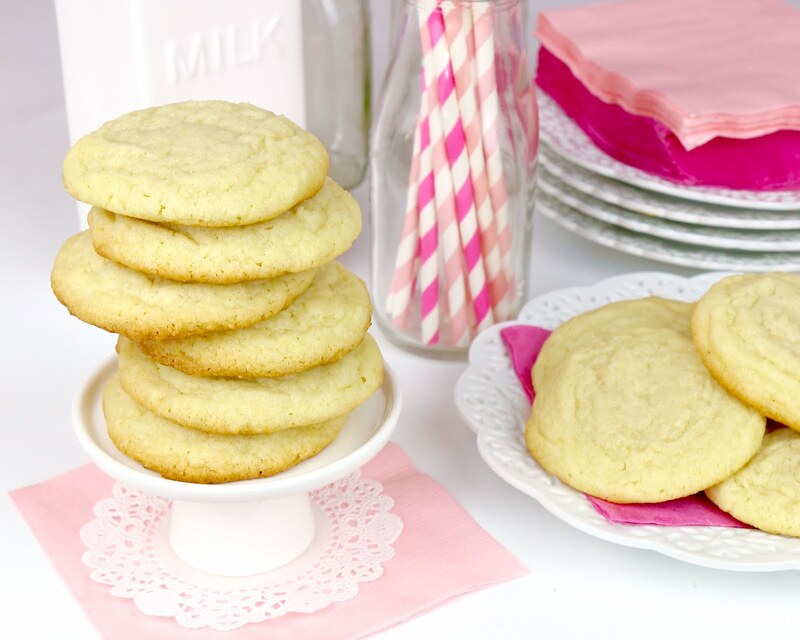 These cookies are simple but absolutely perfect. They're not rolled in colorful sprinkles or dipped in chocolate and rolled in toppings, but with one bite, you'll be hooked. 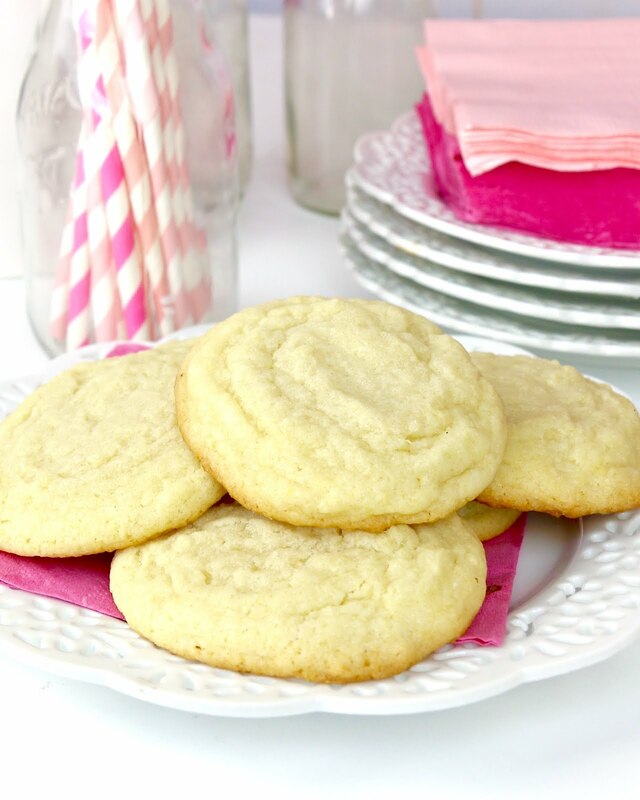 The sweet buttery dough is loaded with hints of vanilla flavor throughout and that soft chewy texture, just thick enough for you to sink you teeth into. 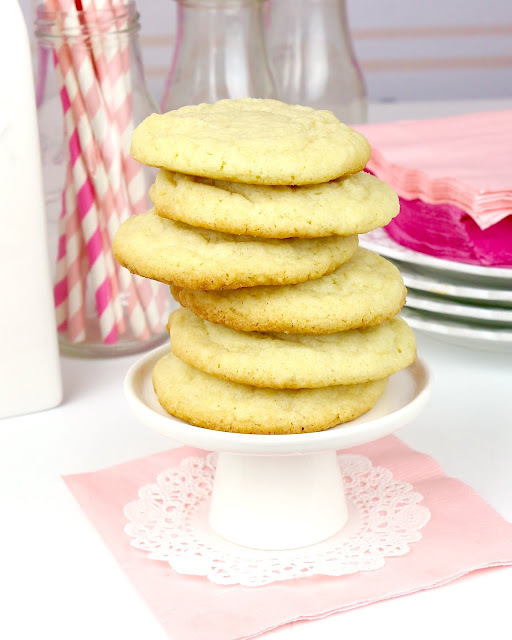 They're not dry or cakey in the least, just perfect,ly soft, cheyw and packed with sweet rich flavor, making them a perfect stand-alone cookie, that shines, without any bells and whistles. 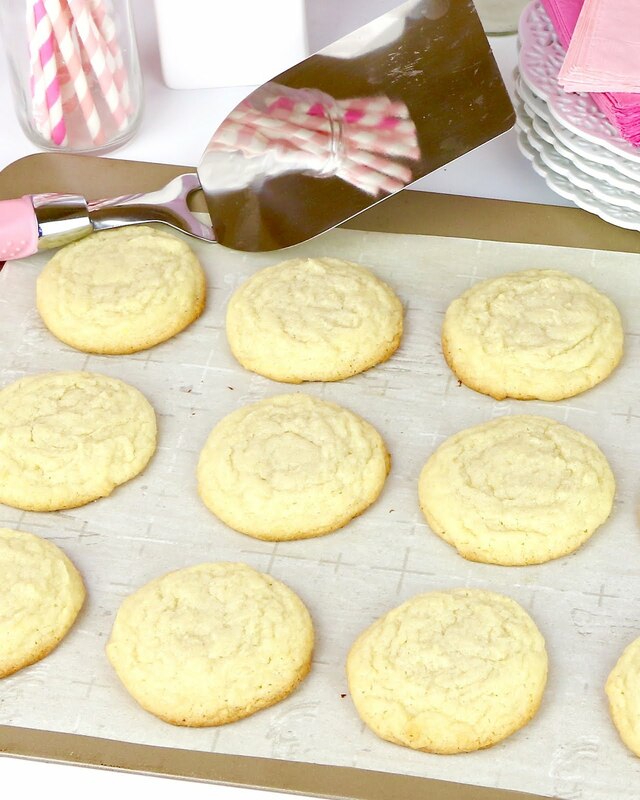 The dough is so easy to whip together with no fancy ingredients, no chill time, no rolling, no browning of butter, just pure and simple cookie dough that you plop on a cookie sheet and bake. 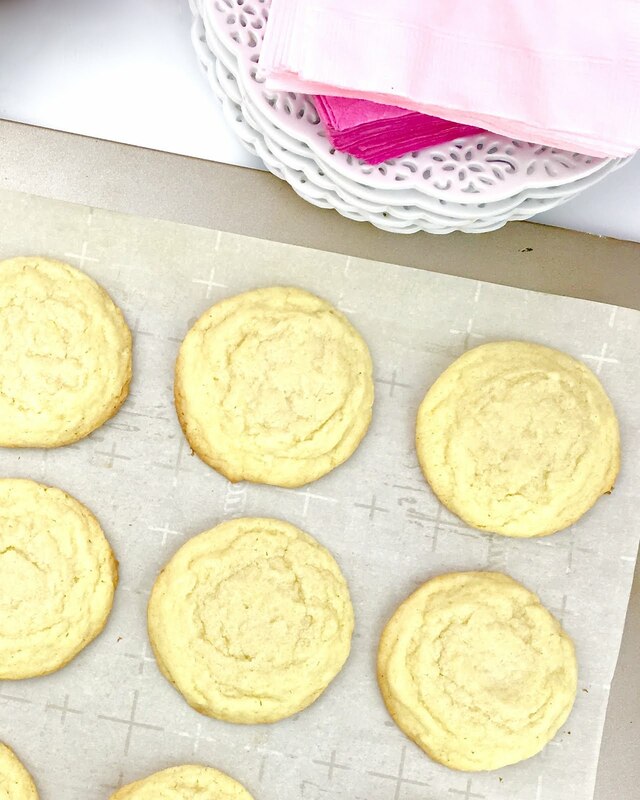 In minutes, you have warm, straight from the oven, homemade cookies to enjoy any time. 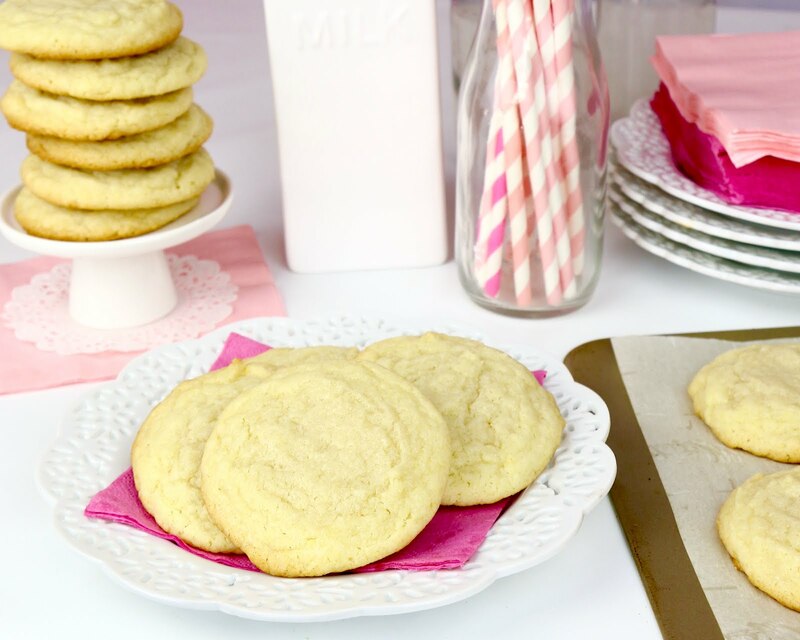 The best part is, you can make a batch of the dough, form into balls and store them in the freezer, for whenever you want to bake up a batch of fresh, homemade cookies, in minutes. Even if you only want two cookies at a time, these are totally freezer friendly and last for months once frozen! Pack them in a lunch box, enjoy as a special dessert or weekend treat, even jazz them up by rolling them in colored sugars, for a festive touch. 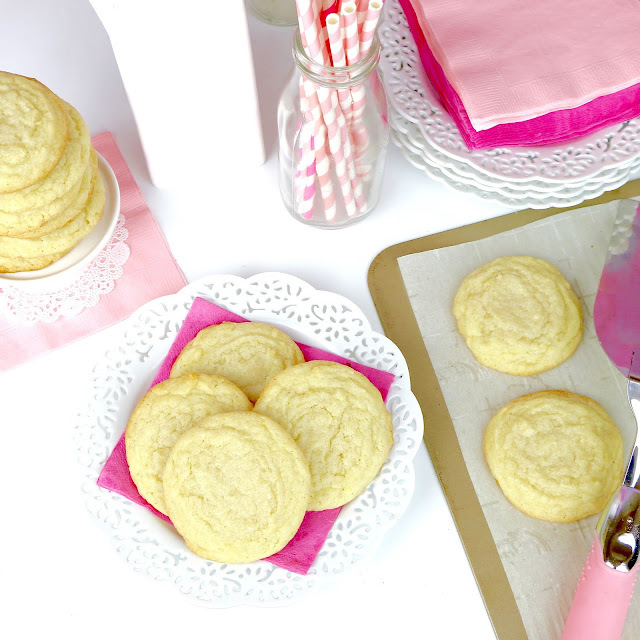 Either way, I hope these become your new favorite sugar cookie too! 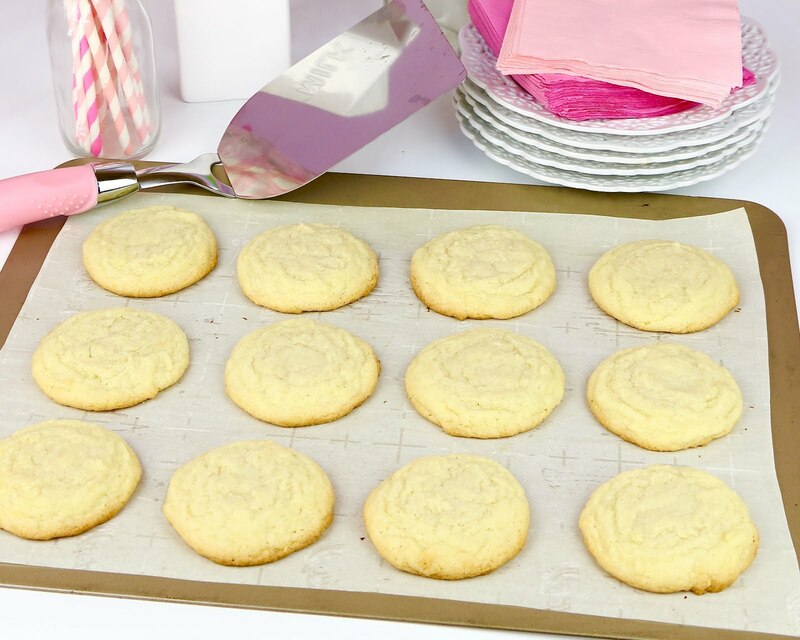 Preheat the oven to 350° F. Line baking sheet with parchment paper. 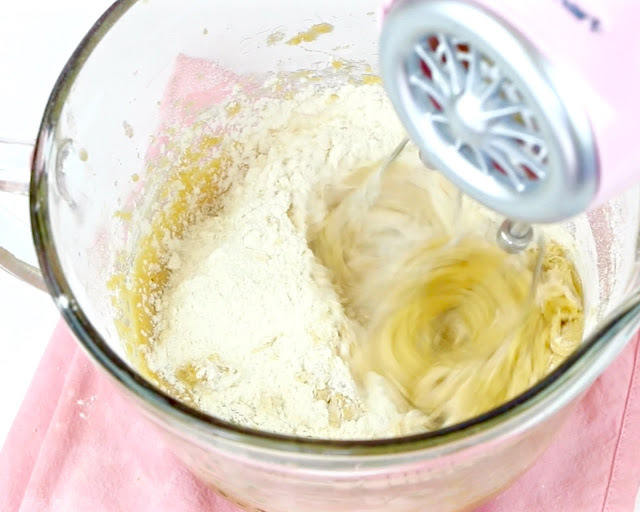 In a small bowl, whisk together flour, baking soda and salt. 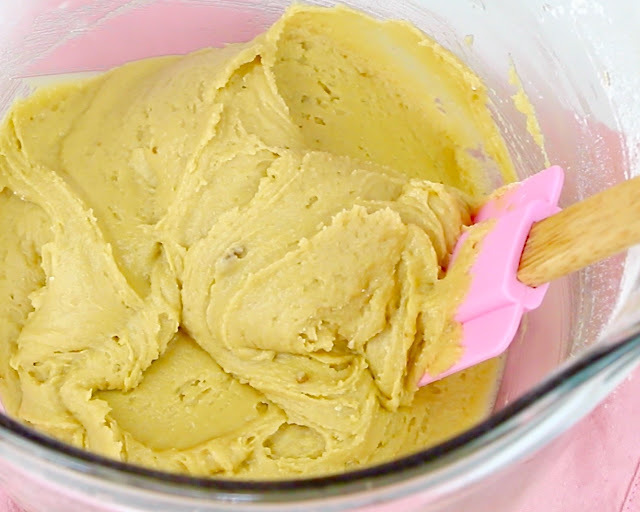 In a separate bowl, with an electric mixer, beat the butter and sugars together on medium speed for about 3 minutes until smooth and fluffy. Scrape down sides and bottom of bowl. Beat in the egg and vanilla. Add flour mixture on low speed just until combine. Scoop dough into balls (about 2 tablespoons each) and place about 2 inches apart on prepared baking sheet. Bake for about 8-10 minutes, until edges just start to set. Do not over bake. Let sit on baking sheet for about 3-5 minutes before removing to a wire rack to cool completely. 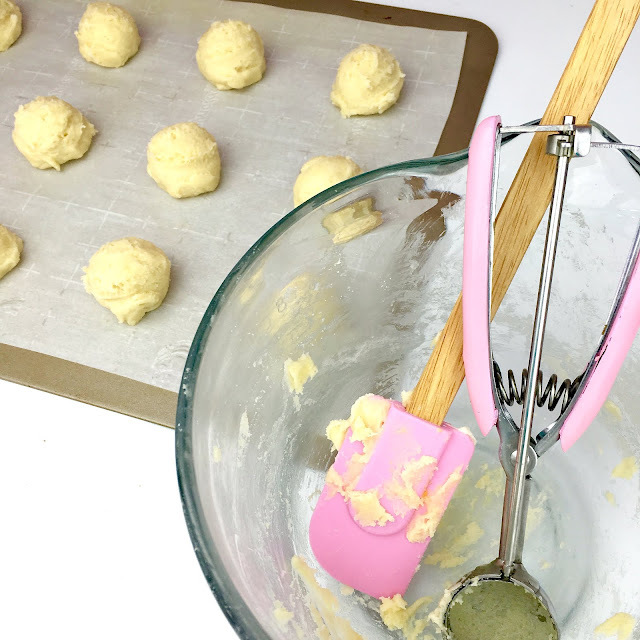 Refrigerating the dough balls (2-72 hrs) before baking allows the flavors to intensify and time for the dough to absorb the moisture for a flavorful, hydrated and firm dough that bakes up thicker with less spreading. Freezer Friendly: If you do not plan on making all of the cookies at once, the unbaked cookie dough balls can be can be placed in a ziploc bag and refrigerated for up to 3 days or frozen for up to 3-4 months, to be baked in desired quantities. When baking cookie dough balls straight from the freezer, add about 1 minute to the baking time. To keep cookies soft, place a piece of bread in the airtight container with the cookies.